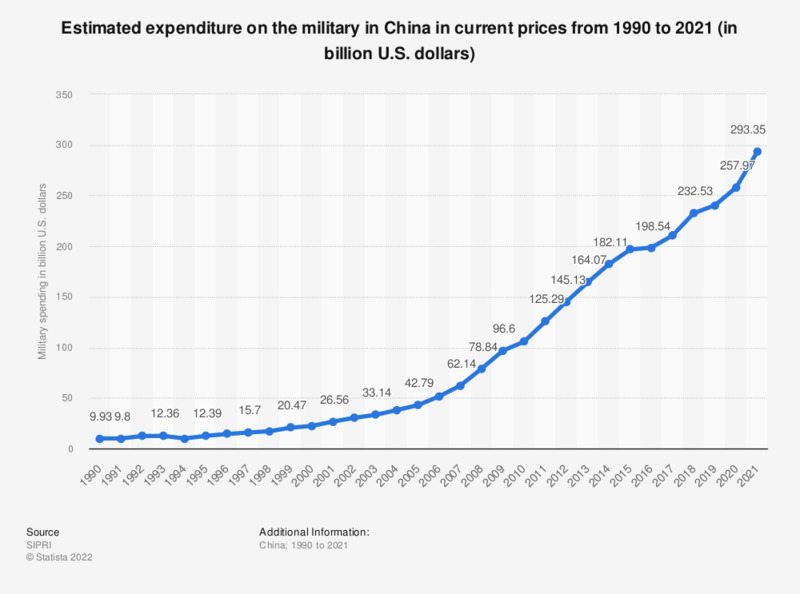 This statistic shows China's expenditure on military services from 1997 to 2017. In 2016, China's military spending had amounted to an estimated 228.2 billion U.S. dollars. According to the source, all figures are estimates. Figures are displayed in constant 2016 U.S. dollars.